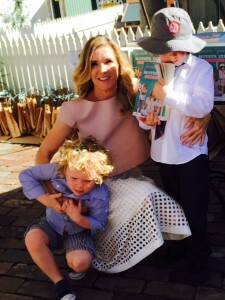 In 2010, Sky News presenter and mum to a 9 month old boy, Jacinta Tynan wrote an article for the Sunday Life magazine titled ‘Is motherhood really that hard’ saying she found motherhood easy and she didn’t know what everyone was complaining about…. it opened a can of worms. (Read the article here). Through her article, Jacinta was advocating that motherhood was the best time of her life and ‘easy’ because of the mindset she had adopted and the tools she had in place. ‘Being a mum is one of the most seemless, joyful, intuitive things I have ever done’…. ‘from where I stand motherhood is a cinch’. Some parents sided with Jacinta and said she was brave and courageous for putting it out there, others were not so positive and openly tore her to pieces for being insensitive and saying motherhood was easy. Fast forward five years and Jacinta has just launched a new book, Mother Zen to continue the debate on the motherhood journey. Her recent book launch attracted more than 100 people (mostly well known mums) including journalists and other media personalities – ABC TV news reader Juanita Philips, Sun Herald editor Kate Cox and A Country Practice actor Penny Cook (who I stood next too)… she has amassed a huge following throughout her career and also deep friendships she has obviously formed as a mum and woman. Jacinta wrote Mother Zen to inspire this generation of mums to be present with their kids, put the right tools in place to make motherhood easier and develop the ‘right’ mindset. It is part memoir and part journey of where we are as mum’s today raising our children in this generation. I interviewed Jacinta about her views on motherhood and her new book, Mother Zen… here is the interview. Your story in the Sunday Life Magazine about motherhood being easy created a huge stir – tell us a bit about what motivated you to write the story and the backlash. Jacinta: I wrote a story for Sunday Life Magazine who I freelance for about motherhood when my first baby was 9 months old and I wrote about it because everyone always tells you how tough motherhood is and how hard and how grueling it is and I was completely expecting that. So coming to motherhood later in life, I was gearing up for a really tough ride thinking I am just going to have to get through this and I put off motherhood for as long as I could. I was 39 when I got pregnant and I wasn’t looking forward to it. I knew I wanted to be a mother but thought it is going to be really, really hard and I may not be able to cope because I just kept on hearing how hard it was. So then when my little one came along I found it the most magical, wonderful thing. Yes, I was tired of course and sleep deprived like any mum, but I was so surprised that no one had told me the part that motherhood was actually such a wonderful experience. So I wrote a story about it thinking I was writing a very positive story and thinking if I share my experience maybe other mothers who feel the same and ones who are struggling might be inspired to look at it another way also. I thought I was doing nothing but an uplifting story on a Sunday morning. I wrote a piece about how I find motherhood easy and I don’t know what everyone is complaining about and had all the caveats in there that I only have a 10 month old baby and I only have one child because I knew it might get more challenging as he got older but I declared that right now, what an amazing thing motherhood is. It sparked a massive backlash that I wasn’t expecting. The day it went to print I was so busy with my baby I had forgotten about it, until the next morning in the hairdressers getting my hair done for work with baby on my lap and started to check my email. I had messages flooding in with such positive messages and I got called brave and courageous for putting it out there. Some people were even writing in under false names saying they couldn’t announce it anyone. Then I got to an email from the Sunday Life editor to say they had a huge response and there is a bit of everything – there are some negative comments coming in. 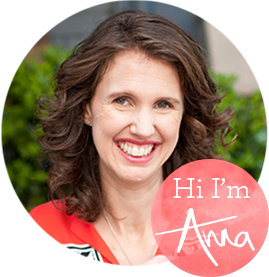 Mia Freedman then sent an email and put the story on mamamia and came in to interview me because she said people were actually really angry with me and they had had a really strong reaction to what I had written about. She went on to tell me that people thought I was having a go at them – she put it up and it went crazy for a couple of months really. These women were absolutely going for me over it. I was so busy and I was pregnant again by then… so I didn’t pay too much attention to it but it frustrated me. So fast forward to now when you have two beautiful boys, how old are they now? J: Jasper is 5 and Otis is 3. Is there any change of mindset in what you wrote then to what you think now? J: No not at all. I may have changed some of the wording that were triggers may – but it has started a conversation that needed to be had. We have been for too long complaining about motherhood saying it is so hard. But maybe it is not that hard, maybe we are looking at it the wrong way or if it is too hard we need to get systems in place to make it easier. 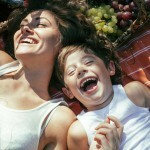 A lot of motherhood is perception – sure there are extenuating circumstances. There are women who are really struggling and that is not to be dismissed as I found out through my article and I was moved to tears with the tough times some mothers are having out there. So I am not saying get over it, but I am saying if you can, there are different ways to look at motherhood to make the experience easier. My mother had 6 children and obviously made it look too easy! When I had two [children], I still found it absolutely wonderful. 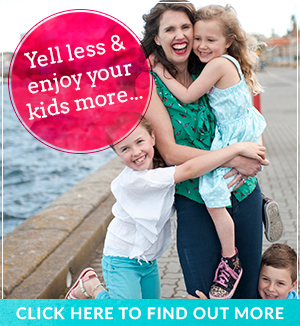 I have found tools to make my motherhood easier and I encourage others to do the same. I meditate twice a day and I think that has a huge impact for me – 20 minutes twice a day (its called householders meditation). I don’t want to sit on a mountain top for an hour and a half or get up at 5am so this way I can squeeze it in and I have managed to do that except for with brand new babies when they were 0 to six weeks old when I was getting up all the time, but other than that I have kept it up all the time because I know I would not be the mother I can be without it. And I still loose my cool – I still yell which I don’t like but it happens occasionally and sometimes I say ‘I don’t know what to do here’ but I just know I would be 10 times worse if I didn’t meditate. It is my tool – I am not saying it is for everyone. Why do you think some parents find parenting easy and others a ‘terrible trial’ as you write in your book? J: I think it comes down to what tools parents are using to make it easier. 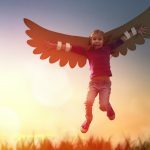 Sure, there are extenuating circumstances that make parenting difficult – if you were doing it on your own or you had a dead end job or you had no money or you didn’t have a supportive partner or being abused BUT beyond that when you seem to have most systems in place you can use tools to make it easier. 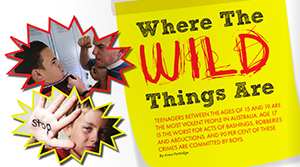 It is up to us to find these ways because what we do as parents is impacting our children. First of all, to make it easier for ourselves, lets try and enjoy this time [with our children] because it is precious and really such a short time we have them – maybe 20 years and by doing that we have more chance of creating involved adults and impacting their self esteem and their sense of worth. If they feel they are in the way or a burden or if they can feel loved and secure – that is up to us and only we can do that as parents and it is actually our responsibility to find a way, to find the tools and be more present and more centered with it. Our attitude has so much to do with how we raise our children and I have found that those we are doing it the toughest, actually have the best attitudes to raising their kids. Do you think it motherhood is innate? J: Look I am not a psychologist but it is probably linked to your past experience. If you are someone who is a perfectionist you are going to find motherhood pretty hard because you have to surrender. There are things you have to do as a mother like surrender and let go and be present – which stuff is all hard if you are one of those people who want life to go smoothly all the time. It is just not going to go smoothly with kids, it can’t. So that sort of stuff is innate, I guess. Motherhood is a great opportunity to grow and evolve as a person and I have found that. It is the first time in your life that you may have ever been called upon to have someone totally reliant on you. So it is an opportunity to say ‘I don’t want to be that person any more if I want to enjoy this’ – so you have to shift a whole lot of stuff, mostly become selfless. You have to let go of control and learn to be present right now. The analogy I love – I have written a whole chapter on this in my book – my meditation guru calls being ‘rendered choiceless’. You can no longer make choices to be somewhere else because you have to be right here, right now to care for your little baby. Most of this book deals with the early years so you have no choice but to be home and a lot of people struggle with this. They say I have lost my whole life with the arrival of kids, but I loved that! I thought, I don’t have to make any decisions right now I can only be right here and so much of my life had been traumatic on making decisions and panicking about my career or a relationship or where should I live and so many choices. What other chapters in your book really resonate with you Jacinta? J: My book is chronological from the birth of my first child. There is a chapter on controlled crying – not doing it by the way. The impact that birth has on the baby. I have a chapter called mindful mother that is about me trying to become more mindful and present with the baby. Why mums struggle? Why mums don’t? I have interviewed a lot of parenting experts about this. The chapter ‘Where is my village?’ that’s a great one about it takes a village to raise a child so where is mine – I don’t have one and I think that is what is making parenting harder. You have to create your own tribe – I have some amazing experts in my book talking about that – the nuclear family doesn’t work and we are saying parenting in hard and doesn’t work, well no wonder. It didn’t use to be like this – there are suppose to be aunts, uncles and grandparents all living around the corner or in the cave and they would be there with the babies. Now is just us and you can’t go out because you have no one to mind the children so I focus on that a bit. These are the days – you know they say ‘oh the good old days’, well these are the days – right now. These are the days we are going to look back on so let’s enjoy them now – let’s make the most of them now and that is a conscious choice. I have to do that myself and snap myself into the present. When they are 25 and they are gone – it makes me teary, I would do anything to have them back. I feel that strongly to snap myself in loosing my temper at them. I am very conscious of it now. And I love the last chapter ‘Its never too late’. If your child is now 10, it’s never too late to repair your relationship and create that special bond. We can turn around tonight and say sorry for loosing my temper today, it was my fault for being angry and not you. After interviewing Jacinta and seeing the huge outpouring of love from her close knit community at her book launch, she is an inspiring woman and her journey in the book, Mother Zen will help many mums get through their days. It is a thick book, but once you start reading, you are captivated by the many stories and engaging writing and just want to keep on going. Jacinta is obviously a giver from the heart from all the kind words that were said about her on the day of the launch and I was significantly impressed that while she was delivering her well polished speech to the crowd in her best news voice and in heels higher than I am game to wear while standing on a make-shift platform, her two boys were at her feet making patterns out of the bar coasters, poking their fingers into her shoes, occasionally tugging on her dress and she took it all in her stride – so maybe motherhood really is easy for her! Jacinta’s book, Mother Zen was published through Harlequin books – find it here. Jacinta is a news presenter at Sky News, columnist at Sunday Life Magazine, social commentator, author and mum to two boys aged 5 and 3. She is also the Patron of youth networking program, SISTER2Sister and a Board member of children’s theatre company, Monkey Baa. Follow Jacinta on Facebook, Instagram or Twitter and check out her website with lots of great interviews with parenting experts here. Do you find motherhood easy? Or is it a trial and hardship? Are bedtimes a struggle with your kids? Get my latest FREE eBook ‘How to put your kids to bed and keep them there: 5 steps to a stress free bedtime routine’ here. I have to be honest, I didn’t enjoy Jacinta’s story that went viral – I have not found motherhood easy and for me reading about what a breeze it was for someone else made me feel like I was clearly doing something wrong if I wasn’t enjoying every moment. It made me feel like I was failing at motherhood. Now my daughter is older and I’ve been around more families and kids, I feel more confident in my own abilities and know that all children are not created equally in terms of ease! Thanks for your honesty @Christine. I also struggled with her first article, however her book is a refreshing read and does go into the core of what we are dealing with every day – the lack of a community and village, the way it helps us grow as a person and how to interact with our kids with love and respect. AND it is a journey… some days I feel like I am not doing the motherhood thing well at all and other days I am the best ever! I love your honesty and please know you are not alone. I totally agree with you! I have three children and at times, parenting is the hardest thing I have ever done, but on the flip side – the most rewarding. I agree with all the concepts you have written here and especially that we have to create our own village and community to be able to interact with other parents to lighten the load somewhat, knowing you are not alone in this journey is important. I and most of the mums I spoke to at the time found her original article quite insensitive and upsetting – no matter what her intentions were, the delivery was poorly thought out. Plus she never seemed to ‘get’ what people were so upset about. Yes it is great to read positive happy stories about motherhood (and there are PLENTY of these out there – contrary to what she say) but it was written with a strong ‘flavour’ along the lines of “this motherhood thing is easy/a cinch, what are you all complaining about” rather than “I am really enjoying it”-which would have come across so much better. People’s experience of motherhood is a completely variable combination of the characteristics and personalities of both the baby and the mother. For some people it will never be ‘easy’ because of this, and it is kind of a bit simplistic to think that simple ‘Strategies’ and ‘mindset’ will fix issues like PND/PNA, babies who don’t feed/sleep/scream all the time, lack of support etc etc. If I was in the need of something to read to give me some hints, I would much prefer to read books by people who are actually qualified to provide that support (eg a psychologist, early childhood expert etc). Great feedback Amanda. I also struggled with her first article and with 3 children, I know how hard motherhood can be! What I do like in her book is that getting over the whole division of positive versus negative mothers that the media loves to exploit – it sets out her own example of how important it is as a mother to have the right tools and systems in place to make motherhood easier and even bearable. Jacinta uses meditation, a large support network and her life experience to make it easier. We all use different tools to get by and that is the crux of what she had to offer. That yes, parenting can be hard but it can be a whole lot easier if you have the right discipline strategy set up, you have time to cook dinner and manage the schedule you set, you have some time away from the kids, you have down time, take holidays if you can and laugh (as a few examples). It was great to hear your response – thanks for sharing.